In a vacuum, Fallout Shelter can become tedious and boring. In the weeks since its Android debut, I’ve played it a few times a day. Early on it served as the highlight of my work break and bedtime gaming session whereas nowadays it triggers the forgetful “oh yeah, that game!” response. With others playing concurrently though, the experience promotes healthy “watercooler conversations” about each individual’s vault. Ultimately, this is a marketing vehicle disguised as a free-to-play game; one that provides ample enjoyment upfront but has little incentive for long-term attachment. 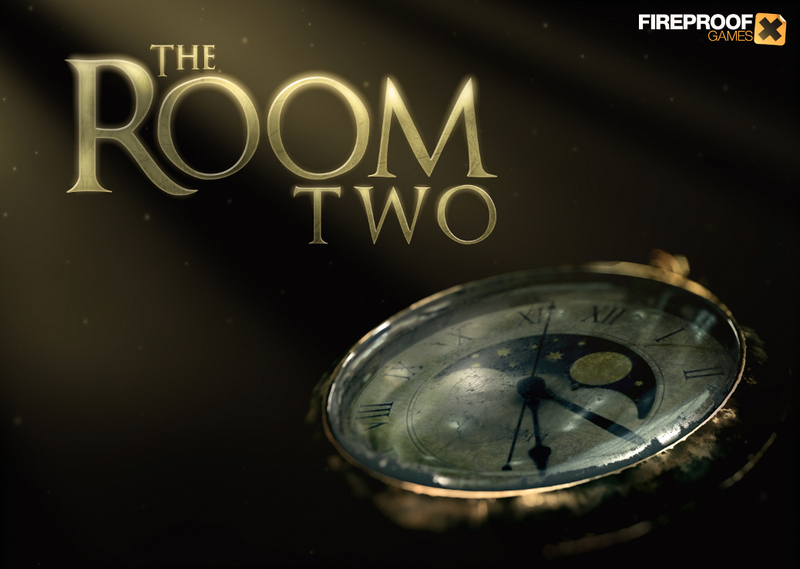 Room production could be rushed, at a risk. I’ll preface any further exposition with the acknowledgment that I’ve not played a Fallout game in any material way. I did play a smidgen of Fallout: Brotherhood of Steel – arguably the worst title to play in the series – but that doesn’t color the otherwise rosy impression I’ve developed of the series from word-of-mouth. 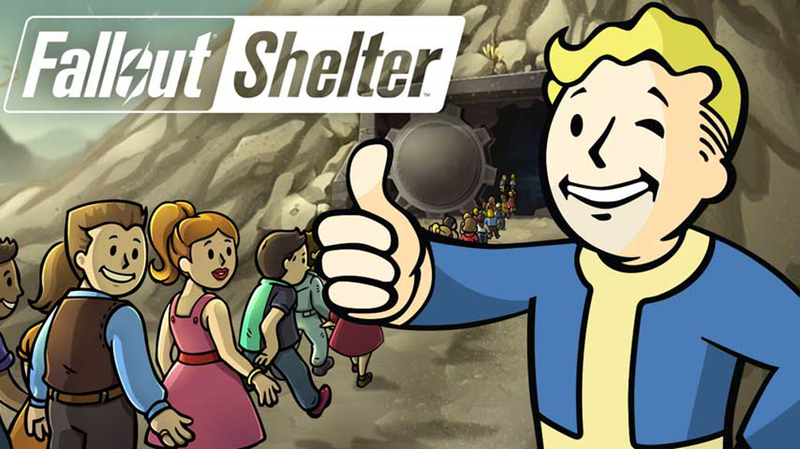 Fallout Shelter is a resource management game portrayed like an ant farm. On startup, I was introduced to a barren vault which a few wasteland wanderers wished to call home. With them safely inside I was then taught about the three core resources that promote everyday vault life: power, food, and water. 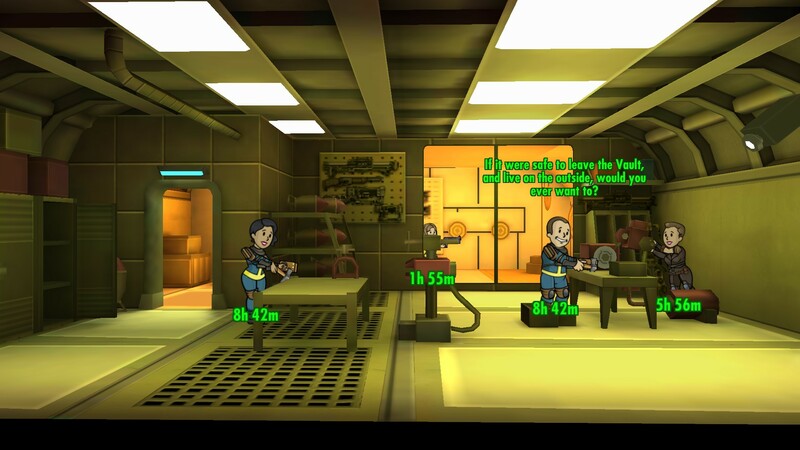 I quickly expanded my vault size with the addition of rooms that generated these resources and with a little more education, I was on my way. New room types were unlocked after meeting certain dweller requirements (20 inhabitants, 30 inhabitants, etc.) and the existing rooms could be added on to and upgraded to yield more resources or skill experience. Each dweller had seven skills that could be increased via their outfit, skill training, or just leveling up. 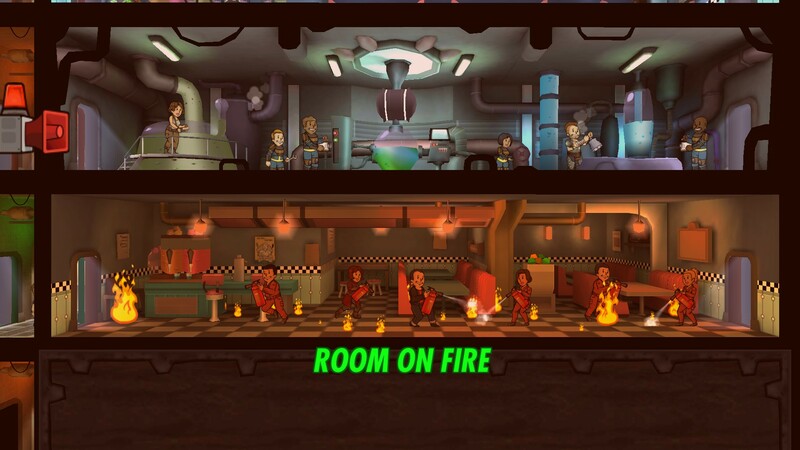 Assigning them to rooms and having them produce resources, babies, or focus on skill training helped them increase levels, as did sending them out to the wasteland. Accordingly, I could also equip them with weapons which came in handy during exploration, enemy raids, or radroach infestations. Zooming in reveals the dwellers having conversations or spouting one-liners. There’s no traditional story to the game and there’s not one end-game objective to shoot for. 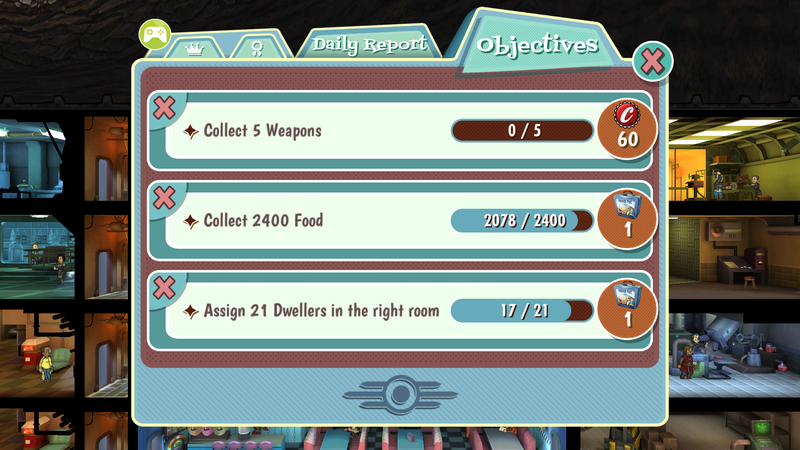 There are always three minor objectives to work towards at any time (collect x amount of resource y, assign x amount of dwellers to the right room, etc.) and these yield rewards for completion. The most coveted are lunchboxes which contain four gifts, one of them guaranteed to be rare. Ideally the rare gift is a special dweller, outfit, or weapon. Personally, I received a rare weapon early on and I was set for wasteland exploration afterwards and thanks to the bottle caps I began generating, my vault expansion took off. Expanding the vault entails burrowing deeper underground and in total, there are about two hundred spaces to make use of. 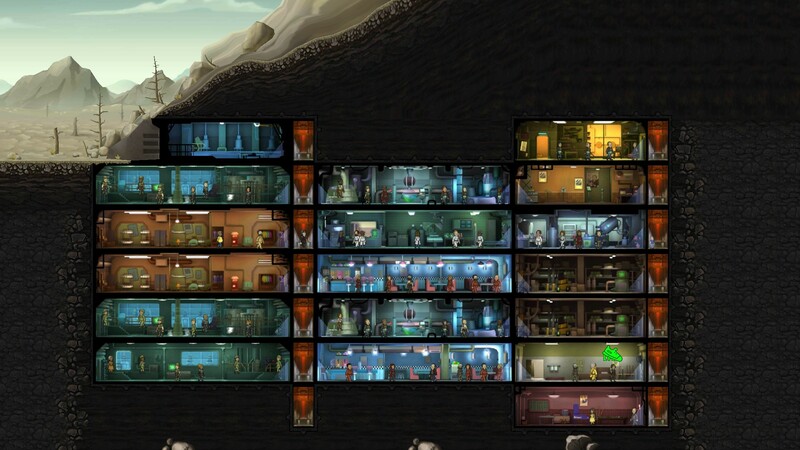 My current vault occupies about forty spaces and I’ve got a population nearing seventy dwellers. Having gone through a tumultuous period where I was under producing vital resources and not generating enough bottle caps, I’ve slowed progression considerably. I’ve got a couple steadily having children, a far cry from the two or three I had previously. I’ve also focused on equipping everyone with outfits conducive to the rooms they occupy, maximizing resource production, or skill advancement. I’m not overburdening any one resource and by expanding slowly but surely as I now am, I’m more confident in my growing layout. There were always three random objectives to work towards. Still, I’m struggling to find incentive to play as much as I once was, which is natural. After all, the newness has worn off and I’m no longer being introduced to new concepts. 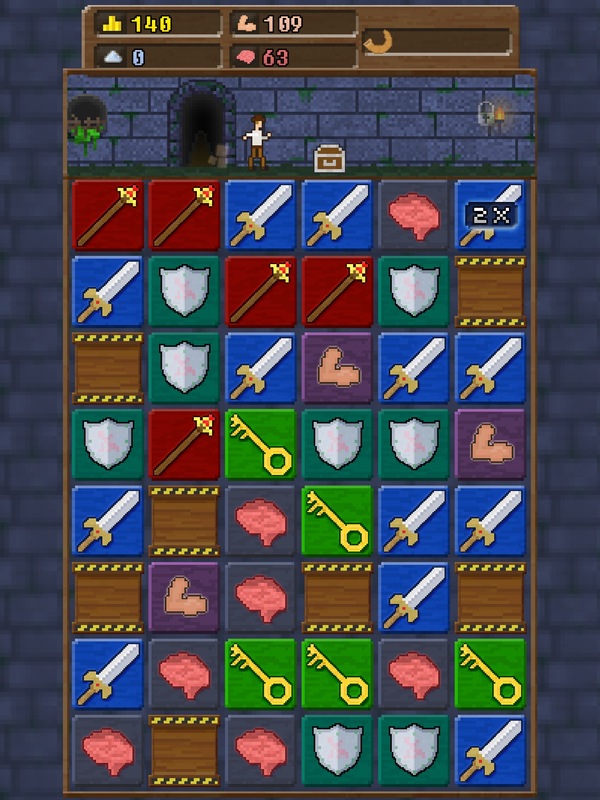 I find the lack of an end-game objective to be a double-edged sword. The upside is the ability play relatively endlessly with little hindrance. The downside being the lack of an incentive for someone like me who isn’t chomping at the bit to play anything Fallout related and only finds this game marginally enjoyable. Wanting to feel like I accomplished a definitive objective, I’ve set a personal goal of unlocking the final room – it requires 100 dwellers in the vault. I’ll probably play for a brief span of time afterwards, but I’ll eventually delete it, and life will go on. As I mentioned earlier, the game is more engrossing when playing alongside others. I learned through this game that one of my coworkers is a major fan of the series and he was able to provide many solid pointers as his vault remained way more developed than mine. Having conversations with others drove me to continue expanding my vault and compete in a sense. The actual game lacks any sort of involvement or connection with others however, outside of the Google Play Games functionality. I could imagine trying to steal resources, gear, or dwellers from other vaults could be fun, in a Clash of Clans sort of way. Even being able to view other players’ vaults to get ideas or compare/contrast layout would’ve been cool. As it stands, I’ve got little incentive to continue on other than my self-imposed endgame. My vault, zoomed out to the ant farm perspective. I’d still recommend downloading Fallout Shelter though. It’s free after all, and it is the opening act for what will undoubtedly be one of the year’s defining games. Be warned though–you may begin booting the game up and finding yourself with little to do often. 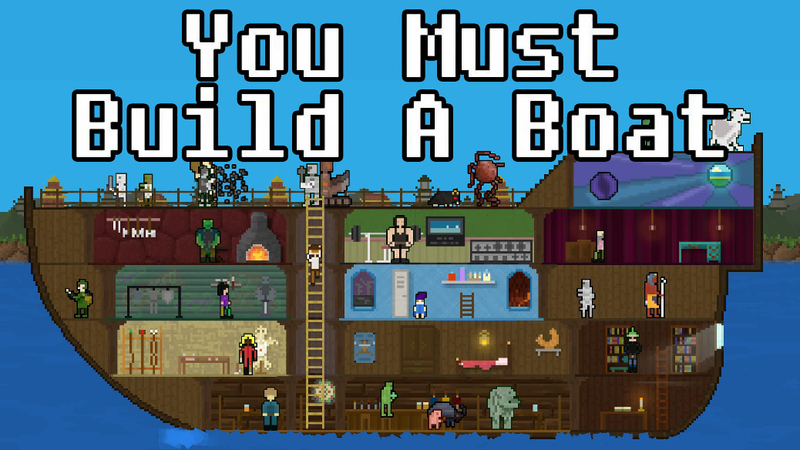 You may even forget about the game for a day or two and then boot it up to find a few dead dwellers. Asking the question “why am I still playing this?” could become common. Friends playing as well will invariably enhance the experience. Then, like me, you may keep the vault in the forefront of your thoughts and want to continue checking in on your dwellers. Heck, you may even want to purchase Fallout 4 this year. This is a review of Crossy Road. It’s timely only if you’re reading this month’s ago, or if you’ve never heard of Crossy Road. Unfortunately, if it’s the latter, you’ve missed the zeitgeist. That doesn’t mean you’ve missed out on the fun though. 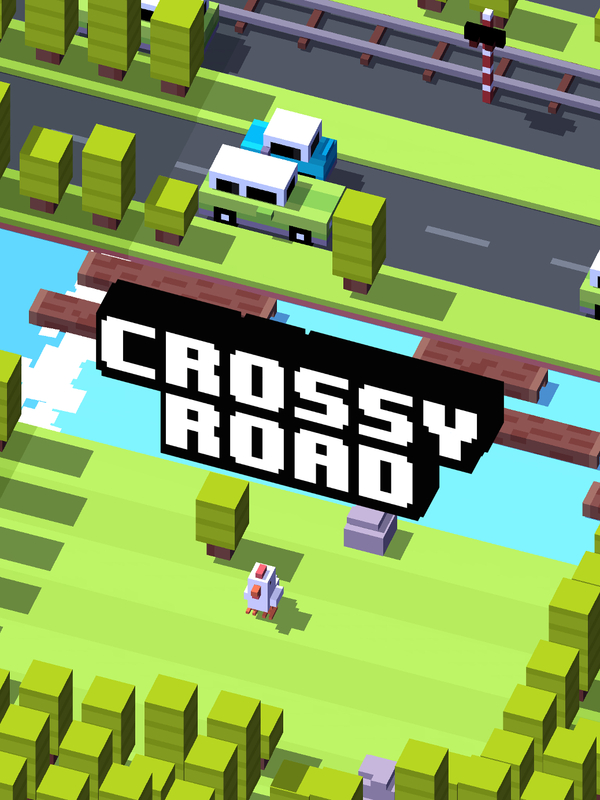 Crossy Road is an evolution of Frogger with elements of modern mobile game design tacked on for revenue streams. It’s a game built around understandable mechanics, unobtrusive monetization features, and an attractive art style. It doesn’t fill you up, but it’s easy to keep coming back to. 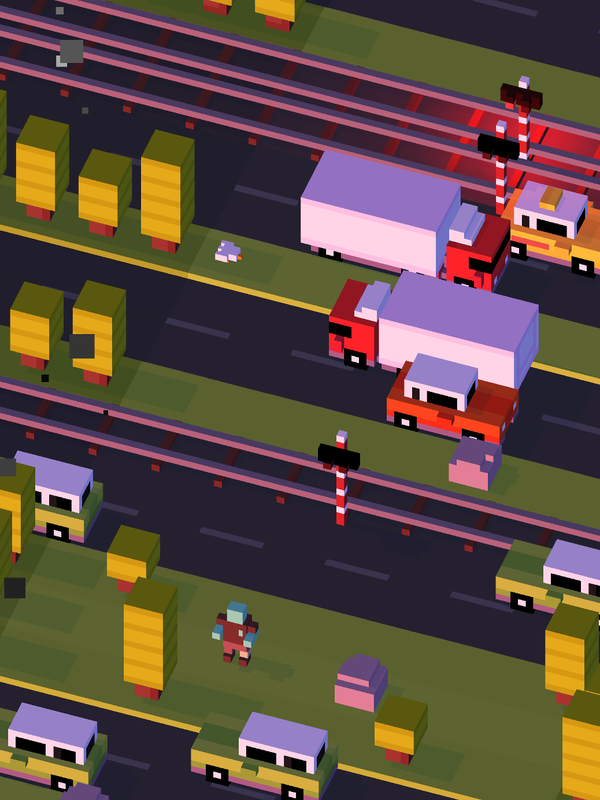 As I mentioned, the core gameplay of Crossy Road is heavily inspired by Frogger. It’s basically that game with one important twist – it’s endless. Instead of crossing a few lanes of traffic and navigating floating logs to reach the shore on the opposite end of the screen, your character is on a never-ending journey. 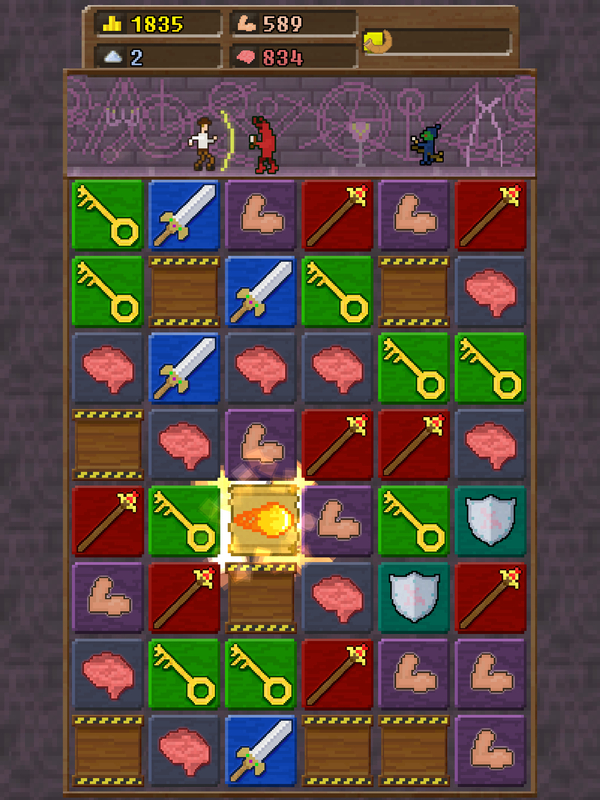 Both obstacles are present and accounted for here and seem to be randomized, keeping gameplay fresh. Tapping the screen moves the character one row forward and this is how the score is calculated. The high score competitions can get heated, recalling the days of Flappy Bird. This is a free-to-play game, but it doesn’t beat you over the head with advertisements. The primary source of revenue for the developers would appear to stem from the many character skins. These can be unlocked by spending accrued coins on an in-game prize machine (think the gumball machines at your local grocery store). The coins are earned slowly, but extras can be earned by watching advertisements. Or, this coin collecting process can be subverted altogether by purchasing the character skins. Each character has features that make them unique, but not substantially different. For me, they were just something to work towards, while I strove to improve my score. Each character has a few traits that make them unique. In the case of the zombie, it’s now dusk and I imagine it moans for brains. Crossy Road is a free game, available on Apple and Android devices and it’s well worth the download. I thought it was a stellar pick up and play game for those moments when you need a distraction. If you have friends playing it too, the competition aspect will help to deepen the experience. But, it was a distraction sort of game, and something I couldn’t spend a long stretch of time with after the first few sessions. It is, however, something I’ve spent much time with in the dozens of sessions I’ve played it. Well worth a look.